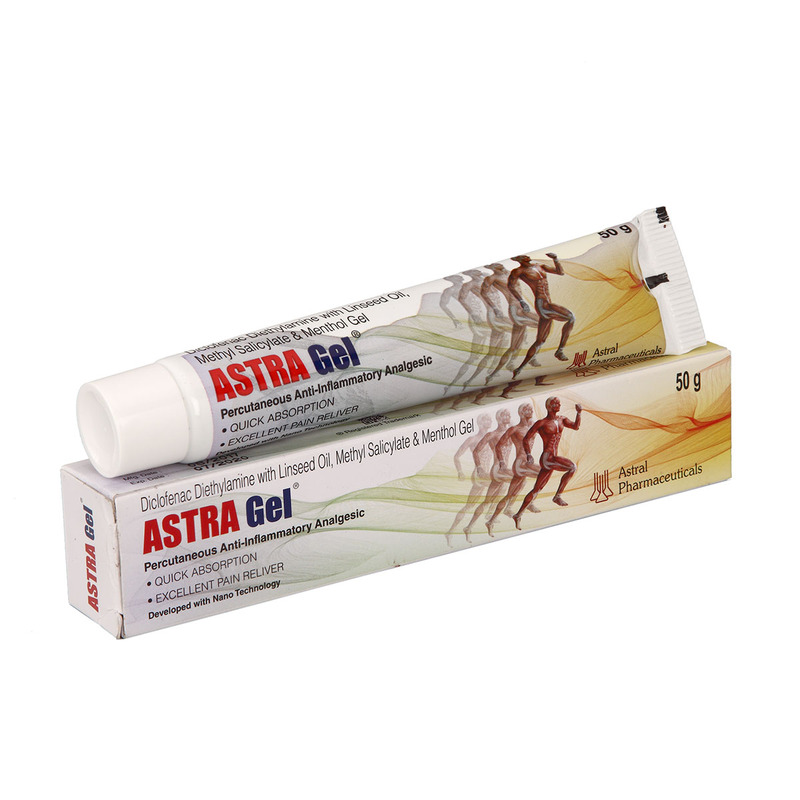 Astra Gel is used for Joint, Back, Neck & Shoulder pains, sprains & strains. 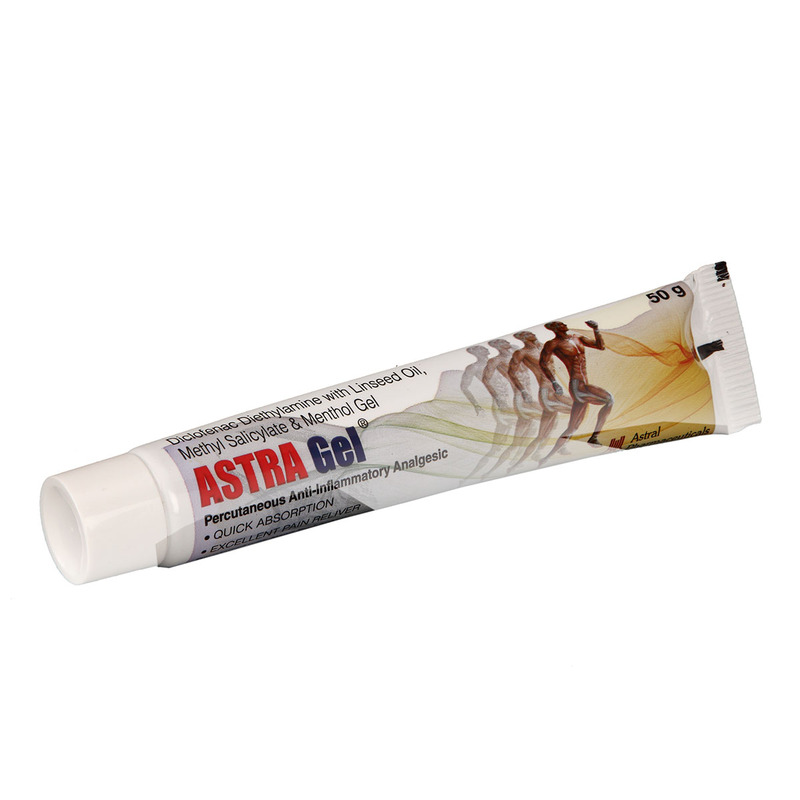 It is a balanced combination of active Pharma ingredients for effective pain relief. 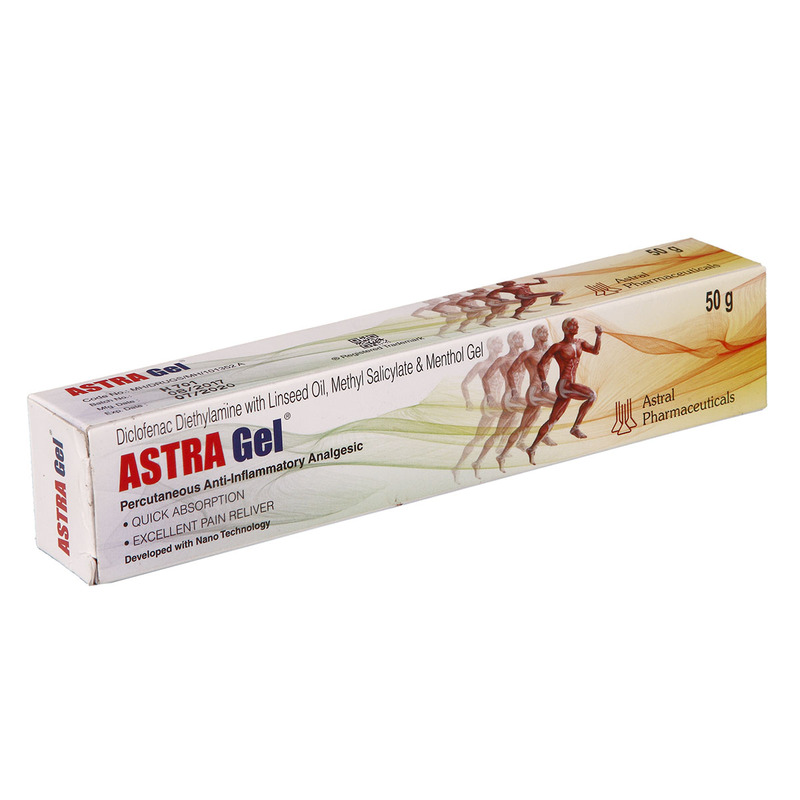 This is unique quick absorb formula widely used by medical practitioners globally specially by orthopaedic doctors to treat their patients. 30 g. / 50 g. in a tube re-packed in multicolor laminated box. Excellent Pain Reliever & Anti-inflammatory Analgesic. Its quick Absorb Formula penetrates deep into the skin and gives instant relief from back, low back, joint pain, muscular pains and strains. This reduces or relieves pains, sore muscles, arthritis or any number of other aches & pains. Please consult your Doctor / Health Service provider before taking any medicine.